This first event under the new brand was attended by almost 700 participants including delegates, speakers, sponsors, exhibitors and additional guests that joined in to celebrate and recognise excellence at the 2018 MEA Awards dinner held on the last night of the event. The introduction of tracks and the line-up of speakers received outstanding feedback from the delegates. 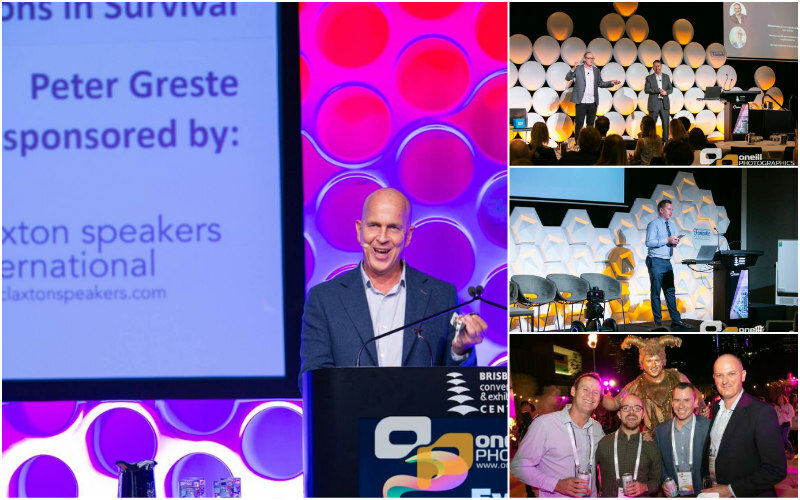 The mix of expert speakers from outside the events industry and event professionals was an excellent balance and delivered a program that appealed to all sectors of the events industry. The sold out EVOLVE Marketplace was the centre of activity with a range of organisations engaging with the delegates including practical AI demonstrations, security robots and silent presentations during breaks. EVOLVE was brought to life over three days through the scribing of presentations and activities by the Visual Storyteller adding a pictorial record of the event. MEA launched new initiatives at EVOLVE including MEATV, its digital platform to engage and communicate to its members and wider events community. MEATV hosts interviews with the following EVOLVE speakers. Click here to view interviews. MEATV also hosts interviews with the 2018 MEA Awards National winners and a link to the Awards presentations that was streamed live. Brisbane has transformed into a modern vibrant city and EVOLVE was the perfect occasion to showcase its new venues and cultural spaces. The networking events reached new heights. The welcome event was held at the Queensland Museum, hosted by the Fresh Collective, a short walk from the Brisbane Convention & Exhibition Centre and was a perfect start to the conference. Delegates and guests experienced a whole new aspect of Brisbane in spectacular style under the brightly lit Storey Bridge at Howard Smith Wharves. The entertainment, fireworks and light show were amazing. EVOLVE 2019 concluded with the presentation of the national 2018 MEA Awards at the Brisbane Convention & Exhibition Centre. The industry night of nights was a fitting conclusion to the event. To see the winners of the 2018 MEA Awards go to the MEA website. The destination of EVOLVE 2020 is the Crowne Plaza in the Hunter Valley and MEA is offering reduced registration for the first 50 MEA Members.